REACH is the EU Regulation on the Registration, Evaluation and Authorisation of Chemicals which entered into force on 1 June 2007. It places duties on all manufacturers, importers and users of chemicals in the European Union, and is aimed at ensuring adequate control of risks to humans and the environment from the manufacture, use and disposal of chemicals. Detailed guidance on various aspects of REACH is gradually being published but there remain a number of areas of uncertainty. This article discusses some issues relating to the interface of REACH with the regulation of occupational health in the workplace. Environmental and physico-chemical risks and consumer exposure situations are outside the scope of this article but it should be remembered that they are important aspects of the overall REACH process too. REACH places greater responsibility on industry to identify and manage the risks to human health and the environment from use of the chemicals they manufacture or place on the market, and to provide appropriate safety information to users. Substances made or supplied in quantities of 1 tonne or more per year per company must be registered with EChA. The registration dossiers for those substances made or supplied in quantities greater than 10 tonnes per year per company must include a Chemical Safety Report. Registration applies to chemicals whether in pure form or supplied as part of preparations or articles (e.g. printer cartridges). A phase-in period of 11 years is planned for registration of existing substances (estimated to be around 30,000), with higher tonnage substances and those of high concern being done first. The manufacturer or importer must provide downstream users with information on risk management measures needed to ensure adequate control of the risks. This will be done through labelling and extended Safety Data Sheets (e-SDS). The EChA will evaluate dossiers for compliance with regulatory requirements. To prevent un-necessary testing on animals any proposals for testing will also be evaluated. Substances of concern may be selected for a broader substance evaluation. REACH also includes provision for authorisation of substances of very high concern (SVHC, e.g. category 1 or 2 CMRs - Carcinogens, Mutagens, and Reproductive toxins). They may be progressively substituted by safer alternatives or technologies, or only used where there is a demonstrated overall benefit to society of using the substance. For some substances causing an unacceptable risk to human health or the environment, restrictions on the manufacture, use or placing on the market may be introduced. In relation to human health risks and occupational exposure REACH will need to interface with existing EU worker protection legislation such as the Chemical Agents Directive and the Carcinogens Directive, implemented in the UK primarily by the Control of Substances Hazardous to Health (COSHH) Regulations. Article 2.4 of the new Regulation states that “This Regulation shall apply without prejudice to...Community workplace and environmental legislation...” which means that where REACH and existing H&S laws both apply then the provisions of both must be complied with - one does not subsume or over-ride the other. It is interesting to consider the possible overlap of a number of aspects of REACH with COSHH. We look below at two key elements in REACH - Exposure Scenarios and Risk Management Measures. Under REACH, all companies producing or importing substances in quantities of 10 tonnes per year or greater have to carry out a chemical safety assessment and document the outcome in a Chemical Safety Report (CSR). General provisions for preparing chemical safety assessments and CSRs are given in Annex 1 of the regulation. For substances classified as dangerous, the assessment must include an exposure assessment and risk characterisation and the onus is on the supplier to demonstrate that risks are adequately controlled throughout the life-cycle of the chemical. Exposure Scenarios (ES) are a key tool in the chemical safety assessment for all substances classified as dangerous. The ES presents descriptions of the processes and tasks involved in the manufacture and identified uses of the substance, the operational conditions employed, Risk Management Measures (RMM) needed to prevent or adequately control exposure and other relevant information. The information is communicated down the supply chain by including a summary of all relevant ESs in an annex to the e-SDS. The development of ESs is a logical sequence of steps which follows an iterative process. First the uses of a substance with regard to the manufacturer’s own manufacturing process(es) and other identified uses further down the supply chain must be listed and a brief general descriptor given. Then initial ESs (sometimes called “tentative ESs”) would be drafted based on typical actual conditions of use. For example this would include a short process description, existing operational conditions and RMMs, and identified exposure routes and endpoints of particular relevance. An exposure estimate would then be performed using a “Tier 1” assessment tool (a basic exposure assessment model which predicts likely exposure resulting from a set of conditions). The predicted exposure would be compared with the relevant Derived No Effect Level (DNEL), if available, and the risk characterised. If exposure is below the DNEL then it is deemed that the risk is adequately controlled. If exposure is above, then a more detailed assessment is needed. The assumptions made in the initial ES must be examined and changes made to bring exposure below the DNEL. For example, RMMs could be tightened, more accurate information could be gathered to quantify actual exposure, or additional testing could be performed to refine the hazard classification. This results in the final ES which is included in the CSR and added as an annex to the e-SDS. The question of DNELs is a topic for another article in itself! According to Annex 1 of the Regulation DNELs may be established for each relevant human population (e.g. workers, consumers, those indirectly exposed via the environment), certain vulnerable sub-populations (e.g. pregnant women, children), and for different routes of exposure. More work is needed to develop practical solutions. For example it isn’t yet clear how DNELs for inhalation will compare to national Exposure Limits such as Workplace Exposure Limits (WELs) in the UK. Another problem area is in setting DNELs for dermal exposure and measurement of compliance which present significant scientific challenges. The occupational health risk section of an ES should be similar to a documented health risk assessment under COSHH, but how will they compare? The answer at this stage is nobody quite knows, although there is an obvious benefit in avoiding duplication wherever possible. There is no standardised format for a documented COSHH assessment. Under regulations 6 and 7 of COSHH, the operator must assess the risks to health from any work involving hazardous substances and ensure that exposure is prevented or adequately controlled. Adequate control is defined as the application of the principles of good control practice, compliance with any relevant Workplace Exposure Limits (WELs) and, for CMRs and asthmagens, reducing exposure to as low a level as is reasonably practicable. 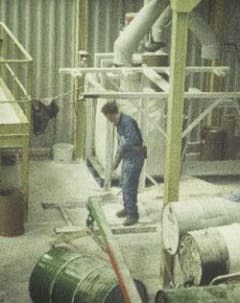 One important difference is that the legal duty for compiling a COSHH assessment rests with the operator carrying out work with the hazardous substance, whereas ESs will in most cases be compiled by the manufacturer or importer of the hazardous substance under REACH, in collaboration with its customers. It is generally thought that COSHH assessments will be more detailed and site-specific than ESs. From the manufacturer’s point of view a generic scenario covering a number of uses is probably easier to manage in complying with REACH. However it would probably result in over-cautious recommendations for risk management measures, since the prescribed measures will have to give adequate control in all situations of use. On the other hand, site-specific scenarios will tailor risk management measures to the defined use but the effort needed to develop these throughout the substance life-cycle would be considerable. In practice the level of detail in the exposure scenario ought to reflect the severity of the hazard or the expected degree of exposure. It is conceivable that conclusions and recommended control measures in a COSHH assessment will differ from those in an ES. What happens then? The short answer is that you will have to comply with both REACH and COSHH so it would seem that the most stringent controls will be necessary. In practice this situation would trigger a review of each assessment to identify the differences and reasons for the different conclusions. Downstream Users would need to negotiate a satisfactory outcome with their suppliers (Manufacturer/Importer). REACH should result in more hazard and exposure information being available on chemicals (pure substances and preparations) which will aid the health risk assessment process. Risks to health in the workplace must be “adequately controlled” under both REACH and COSHH. The definition of “adequate control” differs but the principles are the same. The hierarchy of control laid out in the Chemical Agents Directive is reflected in the guidance for REACH, and the Principles of Good Control Practice contained in Schedule 2A of the COSHH Regulations are relevant in deciding on appropriate risk management measures. A distinction is made in REACH between “Operational conditions” and “Risk management measures”. Operational conditions in the workplace context include process details, physical form of the substance, worker activities and duration and frequency of exposure. Risk management measures cover techniques to reduce or avoid direct and indirect exposure in manufacture, use and disposal/recycling activities. All routes of exposure (inhalation, skin contact, accidental ingestion) must be considered. In practical terms it may be difficult to differentiate between risk management measures and operational conditions and the term “RMM” is used in this article to cover both. Users will be able to search the library by specific RMM or RMM ‘packages’ (such as COSHH Essentials sector-specific Control Guidance Sheets) to identify possible control options for their situation. Links are provided to appropriate websites where available to direct the user to more detailed information. An indication of the efficiency of RMMs in controlling exposure is also given. RMM efficiency is defined as the percentage reduction in exposure concentration... produced by application of the risk management measure. In practice the efficiency of any RMM is likely to vary considerably and two values are quoted - a typical default value (an estimate of the 50th percentile) and a maximum achievable value. Efficiency values quoted in the library are derived from published reduction factors with a sound scientific evidence base wherever possible (e.g. Assigned Protection Factors for respirators). Reduction factors in well-established exposure assessment models (e.g. EUSES, ECETOC TRA) have also been referenced. In many cases this information does not exist or has not been published. For those RMMs where scientific evidence of efficiency is not available a qualitative indication of efficiency is given using a broad efficiency scale (Unknown/ Low/ Moderate/ High). This allows the user to judge the potential scale of exposure reduction to be expected from applying the RMM under ideal conditions. The library is intended to be used by people with a minimum level of experience and competence in health risk assessment. The library cannot act as a substitute for expert judgement, and application of specific RMMs must be checked for appropriateness against site conditions. Most ESs will be developed by manufacturers/importers with competent technical staff in-house and in that case the user will be able to exercise expert judgement when needed. There will have to be good communication and information transfer from supplier to customer throughout the supply chain to ensure that this expertise is shared. Identifying appropriate control measures and implementing them effectively is the most important part of REACH and will determine whether REACH is effective in its fundamental aim to improve the protection of human health. The British Occupational Hygiene Society (BOHS) is the voice for occupational hygiene in the UK. BOHS is a multidisciplinary learned and professional society, founded in 1953 and with over 1200 members. Its members work in a wide variety of settings and come from over 30 countries worldwide. BOHS is a founding member of the International Occupational Hygiene Association (IOHA) and an integral member of the UK Professional Organisations in Occupational Safety and Health (POOSH). It is the only society in the UK which represents occupational hygiene as a distinct discipline. In December 2005, BOHS co-hosted an important two-day workshop in Brussels with our sister body, the Belgian Society for Occupational Hygiene. This looked at some of the implications for occupational hygiene and opened up debate on key issues with Commission officials, trade association representatives and others. We have drawn up a one-page statement of the value of occupational hygiene in the effective implementation of REACH which summarises the areas where hygienists can make a useful contribution. The BOHS Steering Group on REACH is actively engaged in producing straightforward guidance for manufacturers and downstream user groups, raising awareness amongst our own members and others about the new Regulation, and providing technical input to developing guidance. The REACH Regulation has been discussed and debated for a long time but now it is finally with us. Although we still await guidance from the Commission on detailed compliance aspects, there is much that we already know. It is imperative that companies and individuals start preparing now by familiarising themselves with the Regulation and considering how it is likely to affect them. BOHS and its members are well-placed to assist and contribute towards the common aim of reducing the risks to health from exposure to chemicals.